David Walter's musical career started with violin studies at the age of six and reached its violinistic high point at the age of twelve, with a recital under the management of Sol Hurok. 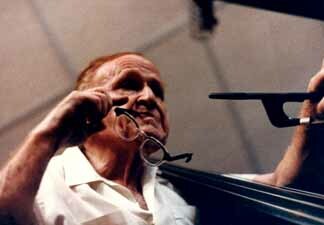 His Double Bass studies with Fred Zimmermann led in rather short order to the post of Principal Bass of the Pittsburgh Symphony under Fritz Reiner's baton. He was invited to join the NBC Symphony and spent the next 15 years with Arturo Toscanini. His career as a jazz bassist continued throughout this period and included a two-year tenure on NBC's Tonight Show. When the Symphony was disbanded he took a leading role in the organization of the Symphony of the Air, serving as Principal Bass and as Chairman of its Board of Directors. He was invited to join Pablo Casals in Puerto Rico and participated in every Festival Casals during the maestro's tenure. For a five-year period he served as Bass Soloist with the Princeton Chamber Orchestra. He was a member of the New York City Ballet Orchestra for over thirty years. His intense involvement in the preparation and presentation of contemporary works found him performing with the Bennington Composers Conference, the Columbia Group for Contemporary Music, the series Music in Our Time and Music in the 20th Century. He has presented many premieres at the Composers Forum in New York City. He has appeared as a recitalist in many cities and at many Universities and Conservatories throughout the world. 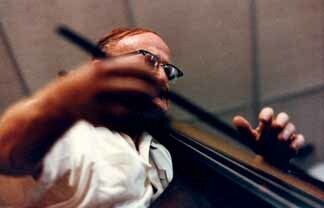 His programs, titled Three Centuries of Double Bass Literature, have featured music written originally for the bass, including many works of the late 18th century which have come to light only recently. He taught Double Bass and Ensemble at the Manhattan School of Music for over thirty years and has been a professor of Double Bass at the Juilliard School since 1969. His teaching efforts have been honored often including the Artist-Teacher of the Year award presented to him by the American String Teachers Association and the Distinguished Service Award given by the International Society of Bassists. 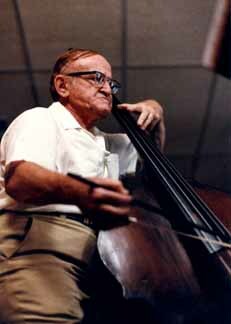 His volume of Double Bass solos The Melodious Bass has been one of the constant "best sellers" in American Double Bass literature. His recordings and editions, including those for Liben Music Publishers, have proved to be critical and commercial successes. 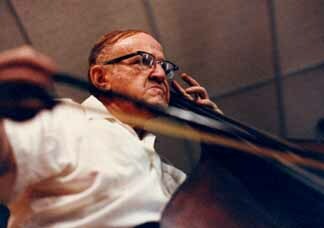 His articles on Double Bass performance and education have been widely published. He has served the International Society of Bassists as president and his Master Classes at Colleges and Conservatories around the world have been enthusiastically attended. He taught Double Bass and Ensemble at the Manhattan School of Music for over thirty years and has been a professor of Double Bass at the Juilliard School since 1969. His teaching efforts have been honored often including the Artist-Teacher of the Year award presented to him by the American String Teachers Association and the Distinguished Service Award given by the International Society of Bassists. 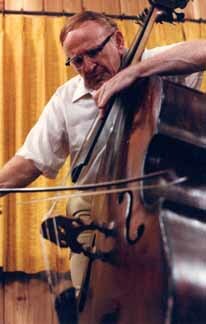 In the year 2000 at the tender age of 87 - a time in life when most men have long since occupied themselves with the likes of television, Fishing and expounding on the wonders of their grand-children - he began a reassessment of some of the most popular works in the double bass repertoire. His thoroughly musical interpretation, complete with program notes and personal commentary, of such staples as the Dragonetti Concerto, all of the works of Koussevitzky and Schubert's Arpeggione Sonata are helping students - of all ages - to find an individual approach in their musical pursuits.